It’s a good thing Michonne rediscovered the tenderness within before opening Alexandria’s gate once again. 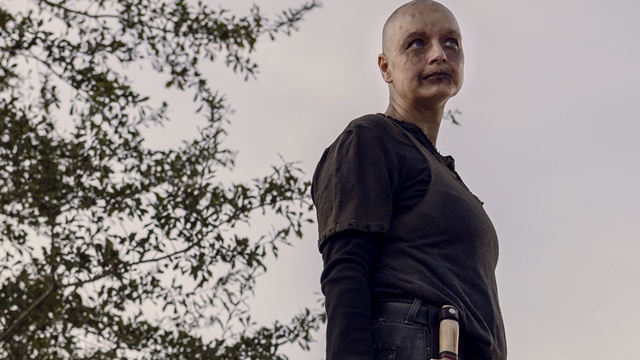 It might be the last time for a while that remorse and vengeance don’t direct her emotional compass after this week’s devastating installment of The Walking Dead. Those familiar with the Whisperers’ run in the comic knew this day would come. Those that didn’t found out the true depths of Alpha’s dark heart. The day the lines were drawn finally arrived. The Kingdom’s fair opens with an impassioned speech from Ezekiel. He invokes the names of Rick, Carl and Jesus, pointing to this day of reunion as the fulfillment of their promise. They’re forever bound to one another, even Daryl, Michonne and the rest of Henry’s delivery crew despite being late to the party. Michonne and Judith’s presence provides plenty of sentimental reconciliations and Lydia’s draws the ire of Tara before each community’s leaders adjourn for a private meeting. Michonne opens with an apology, pledging to end Alexandria’s years of isolation. She offers Lydia asylum in Alexandria despite Tara’s worries. The threat of retaliation from Alpha still permeates the air, and Hilltop remains her main target. 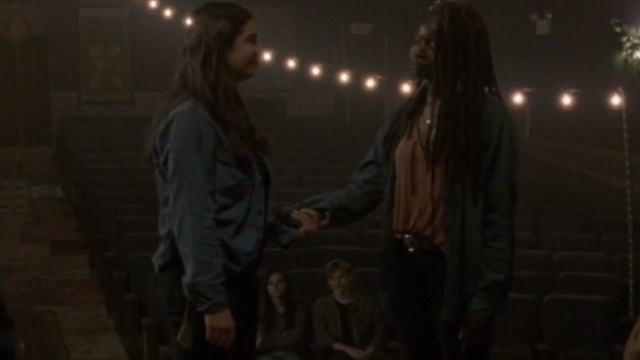 Michonne proposes a mutual protection pact between the communities. The others agree and Ezekiel breaks out Michonne’s original charter to seal the deal. Each leader signs, with Michonne giving up her spot to the head of Alexandria’s council, Gideon. With the charter signed, the leaders turn their concern to Hilltop. Each community commits a number of fighters to leave immediately to defend the Hilltop. 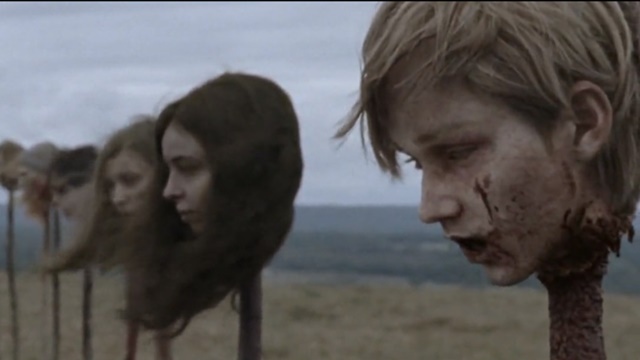 Henry and Lydia are not among them though they believe they should be at the Hilltop. Especially considering the other Hilltop teens don’t seem to be so accepting of Lydia. Henry finds her alone and reassures her of his feelings for her, sealing it with a kiss. Hilltop’s reinforcements don’t make it far before the Highwaymen bring them to a wrecked cart that was bound for the Kingdom from the Hilltop. Believing Alpha’s group to be responsible, the team splits up to follow the trail. It ends up being a trap as Daryl, Michonne, Carol and Yumiko take out dozens of walkers before being surrounded by Beta and crew. They give themselves up as Beta informs Daryl that the moratorium on taking life is off the table. Alpha has walked among them in the Kingdom, disguised as a Hilltop citizen. She’s seen their puppet show of a civilization. She’s denounced her daughter, declaring her weak, and cast Lydia from her breed due to her perceived weakness. 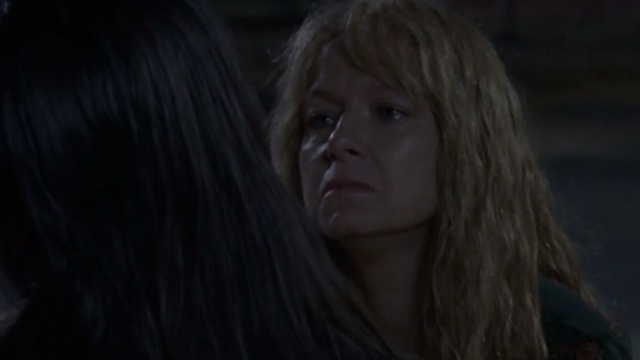 Now, she’s face-to-face with Daryl, and she has something to show him. Alpha takes Daryl to a bluff overlooking a quarry full of thousands of walkers. The sight backs up her claim that Daryl has no standing to threaten her. She promises not to unleash the massive horde upon their monument to a dead world if no one crosses into her territory from here on out. Daryl is released with the promise that he will know the border between the two populations when he see it. The words do little to prepare them for the site. The group find and untie Siddiq before setting eyes of a line of wooden pikes bearing the reanimated heads of their own people. Tammy Rose, the Highwaymen, two of the Hilltop teens, Enid, Tara and Henry growl from their mantles as Daryl, Michonne, Yumiko, Siddiq, and Carol crumble to the turf. The mood at the Kingdom is much more dour following the team’s return. Much like Ezekiel did to open the fair, Siddiq takes the pulpit to end it. He knows he was left alive to tell the others of Alpha’s transgressions, but instead chooses to tell his audience of how this collection of people divided defended one another in the face of inevitable death. They fought together, therefore we must keep going together to honor their sacrifice. Daryl and Lydia visit Henry’s pike as winter dawns on Virginia. She leaves a wooden pendant, carved as a symbol of hope and home, at the base of the pike while, elsewhere, Alpha sheds a tear for her daughter. Knowing emotion is a sign of weakness in the society she built, Alpha kills the only follower to see her spring a leak. What do you think about The Walking Dead season 9 episode 15? Let us know in the comment section below!